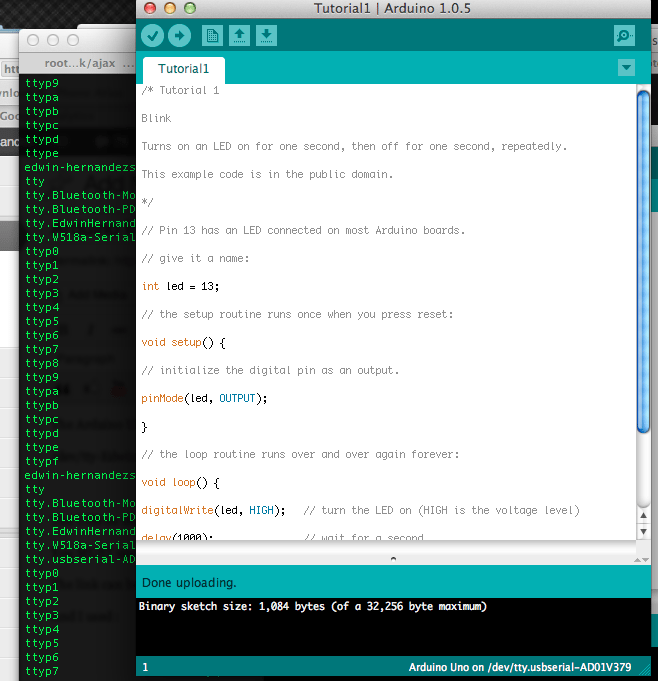 The Arduino UNO is not functional and in fact when you have 10.7.5 an error such as: “Serial Port Already in Use” /dev/tty-ZCASDFASF in my case: /dev/tty-EdwinHernandez-1 is already in use may prompt. However, this is not what is going on. And work with Arduino UNO R3 From OSEPP. As you can see the MAC OS enumerated the wrong thing /dev/tty.EdwinHernandez is NOT the right thing, usbserial or usbmodem should be the one that is enumerated to work correctly.